Physician interest in mhealth is strong, according to Deloitte’s 2014 Survey of U.S. Physicians. Access to clinical information is the most cited benefit of health IT by physicians, the survey also found. A new Deloitte infographic looks at the difference between physician users and non-users of health IT, patient support of health IT and analysis of meaningful use. The healthcare technology revolution is just around the corner. And when it arrives, it will change and enrich our lives in ways we can only begin to imagine. Doctors will perform blood pressure readings via video chat and nutritionists will analyze diet based on photos taken with cell phone cameras. Transforming Health Care: The Financial Impact of Technology, Electronic Tools and Data Mining combines healthcare, technology, and finance in an innovative new way that explains the future of healthcare and its effects on patient care, exploring the emergence of electronic tools that will transform the medical industry. Mobile technology, broadband networks and a greater emphasis on patient accountability in healthcare is creating “digital patients,” according to CDW Healthcare. In a new infographic, CDW Healthcare examines what constitutes a digital patient and the keys to mhealth success. Meeting the holistic needs of the individual, and not treating them as a diagnosis has been key to Health Care Services Corporation’s (HCSC) work with dual eligibles. Here, Julie Faulhaber, HCSC’s vice president of enterprise Medicaid, describes the organization’s innovative use of community care connections to engage the unique challenges of this largely older adult and disabled population in population health management. Question: What are some examples of HCSC community connections and how do these linkages benefit Medicare-Medicaid beneficiaries? Julie Faulhaber: Our community connections are really critical to the success of our program. We work with a number of different community agencies in our state: the community mental health centers, the public health agency, and also with those types of agencies that deliver long term care services or have worked with those with mental health concerns. We work across the board. All of these agencies catch our members, and we try to have relationships with them in order to gain access to our members, for example to better understand the types of services and support that our members truly need and where to access them. That’s been a key component of our program. We also look for community health workers who have backgrounds in the cultural needs of our members, which helps to engage them initially and maintain engagement. HIN: What are the most common behavioral health issues your duals face and how has HCSC addressed these issues? Julie Faulhaber: Our members have the full range of behavioral health issues that one would expect in a dual eligible population. Of course, the majority of individuals are experiencing depression and those types of concerns are often in conjunction with some physical disability. Referring back to the previous question on community linkages, we develop relationships with community agencies that support people with mental illness. Other behavioral health concerns include those agencies that help people with recovery from addiction. We also worked with an integrated team in our own model of people with behavioral health backgrounds as well as our traditional physical healthcare model. That integration has been important for us in meeting the holistic needs of the individual and not treating them as a diagnosis. Julie Faulhaber, vice president, enterprise Medicaid for Health Care Service Corporation (HCSC), a $52 billion health insurance company with 13.2 million members operating in five states, is responsible for the leadership and oversight of HCSC’s Enterprise Medicaid Business. This includes expansion of Medicaid programs across HCSC’s Blue Cross Blue Shield plans in Illinois, Montana, New Mexico and Texas. Nearly half of older adults—18 million people—have difficulty or get help with daily activities, according to a new study by researchers from the University of Michigan and the Urban Institute. A new infographic on the survey results examines the number of adults 65 years of age and older who have self-care, mobility and household activity limitations. How can the United States provide its citizens with the best healthcare in the world, while also managing costs? Many reports over the years have pointed out how much more Americans pay for medical procedures versus those in other countries. The European model functions in a way that less care provides more outcomes for patients, whereas the U.S. model offers more care, but yields fewer outcomes. What drives such a divide in care systems between all of these nations? 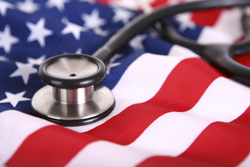 In this guest post, Shan Padda, CEO of Health Integrated, details the strategic care coordination that is essential for a balanced healthcare system and how healthcare outcomes can become streamlined between the United States and European nations. As a healthcare company executive who has traveled extensively and observed healthcare delivery in a variety of regions, including Cuba, France, Germany, the Middle East, Switzerland and the Asia-Pacific area, I’ve had an opportunity to see what worksand what doesn’tfrom an outcomes and efficiency perspective. Most healthcare executives know that the United States spends twice as much per capita as any other nation on healthcare without a corresponding realization of outcomes. Clearly, we need to change the way we deliver healthcare, and via the Affordable Care Act (ACA) and other reform measures, efforts are underway to achieve improvement. But have we learned the right lessons? And are we following the appropriate models? Of all the healthcare delivery systems I’ve had the opportunity to observe, two stand out as models for excellence that are worthy of emulation: New Zealand and Singapore. Both maintain public and private systems. The public systems aren’t built on a single-payor model yet manage to provide a baseline level of care to their populations. Through a combination of community-based care and other delivery methods, both New Zealand and Singapore make certain their citizens have the full spectrum of non-acute care, including preventive treatment. This ensures that treatable conditions don’t worsen and require a costly ER visit or hospitalization. To provide access to basic care, Singapore creates coverage pools and makes healthcare coverage purchases mandatory, much like the controversial individual mandate in the ACA. People in Singapore who want to upgrade their plans at their own expense can purchase additional health insurance coverage on the free market. The Singapore healthcare system also features elements of consumerization. For example, all hospitals in Singapore are required to post costs for common procedures on their Web sites. Since the mandatory baseline health coverage has coinsurance features that give patients a financial stake in the pricing, they have an incentive to review hospital information from a cost perspective as well as from a quality of care standpoint. Americans are rightly proud of their achievements in healthcare: U.S. innovators have made invaluable contributions to medical research, vaccine development and technically advanced treatment tools. But we still lag behind the rest of the world in delivering access to healthcare coverage for our population and in optimizing healthcare data to improve treatment. Despite its error-prone rollout, the ACA is now expanding access to coverage, and some of the effects can already be seen: A recent Gallup poll shows that the uninsured rate in the United States fell to a historically low 13.4 percent in the second quarter of 2014 as millions of people received coverage under exchange plans and Medicaid expansion. A Commonwealth Fund survey in California found that ACA coverage cut the number of uninsured Californians in half. Improving access to coverage and preventive care is an excellent first step in controlling overall costs, as it can promote early intervention to prevent treatable conditions from worsening. But as the experience of other countries demonstrates, there are additional techniques the United States could adopt to improve outcomes, including encouraging patients to take a more active role in managing their care and accelerating the adoption of electronic medical records, which would generate data that is invaluable for both population health management initiatives and for individual treatment plans. One of the most important elements of healthcare reform is the shift away from a fee-for-service model to a system that emphasizes quality. Countries that have embraced this model, including New Zealand and Singapore, have experienced better outcomes and have controlled costs far more effectively than the United States currently does. Acknowledging this, U.S. healthcare reformers are focused on achieving a similar shift by offering incentives for population health improvement and establishing Accountable Care Organizations (ACOs). Provider groups and plan administrators are also exploring innovative new ways to improve patient compliance, such as identifying and addressing the individual psycho-social factors that increase a patient’s sense of isolation and negatively affect their ability to actively manage their own care. By combining the lessons we can learn from how other nations successfully manage healthcare delivery with America’s legendary spirit of innovation, there’s no reason we can’t come together and provide our citizens with the best healthcare in the world, while also managing costs. About the Author: Shan Padda is chairman and chief executive officer of Health Integrated, where he provides the overall strategic leadership and visionary direction for Health Integrated and has a consistent track record of leadership and success in the healthcare industry. Before joining Health Integrated, Shan cofounded and directed a number of companies in the medical technology area, one of which approached $70 million in annual sales and had market capitalization of approximately $450 million. Shan currently sits on a number of private company boards and is a graduate of Harvard University. The seven cities with the highest hospital readmission rates include: Chicago, Brooklyn, Philadelphia, Baltimore, Manhattan, Boston and Los Angeles, according to a new analysis by Kaiser Health News, depicted in an infographic by Becker’s Healthcare. 2014 Healthcare Benchmarks: Reducing Hospital Readmissions documents the latest key initiatives and partnerships to reduce readmissions by patients with these costly conditions and others by more than 100 healthcare organizations. This 60-page report, now in its fourth year, for the first time provides details on partnerships with post-acute care to reduce readmissions from these care sites.